Really? Is it something different now or hiding somewhere else? I don't know? No xigncode...hmmm STOP TROLLING! it's as simple as a bypass but if you'd rather complain about it acting like you know everything but don't know how to bypass it from being able to install then keep going. No answer from CobaltDragon or sandynatime (sorry I forgot how to spell your screen name) by messaging them. I proved every legit thing about XIGNCODE and I'm not going to STOP NOW! I will not have this intrusive POOP WARE on my computer! AND FORCING ME TO USE SOME BYPASS (could get banned if it's not a good one) AND STILL BE A LEGITIMATE PLAYER BY NOT AFFECTING OTHERS! I'M NOT GOING TO BREAK A RULE, JUST SO I CAN PLAY TERA WITHOUT THIS INCOMPETENT ANTI-HACK SOFTWARE! I TOLD YOU I'M NOT USING A BYPASS JUST TO AVOID THIS INCOMPETENT/INTRUSIVE XIGNCODE SOFTWARE AND PLAY MY GAME! SECOND YOU JUST ADMITTED TO BAN YOURSELF BY ADMITTING USE OF IT! OH SNAP! 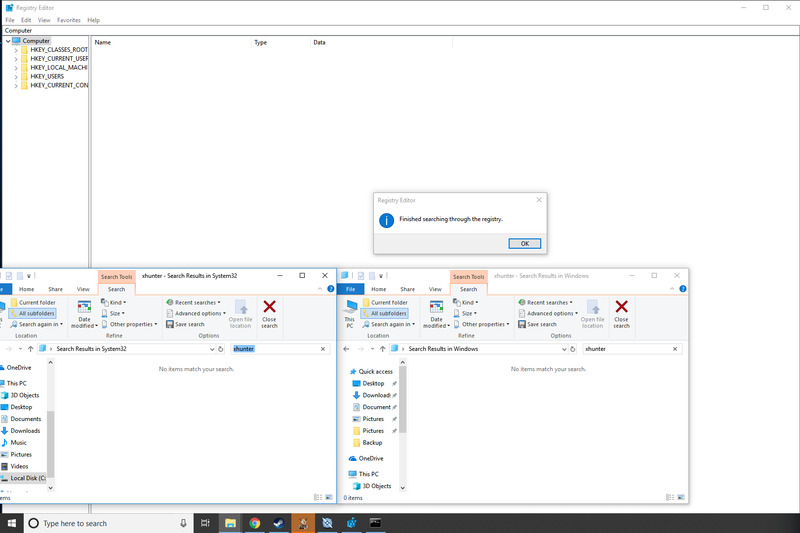 oh no i admited to not having xigncode installed on my pc what am i going to do lol, no where did i say i use a bypass but said that there are things called bypasses, seeing how you are constantly complaining about [filtered] eme won't change because they still make money shows how much you need to get out. And really "oh snap"? this isn't the 80s. But like I said before if you act like you know so much about the program how come you don't know the game doesn't check if it's installed unless the game needs to update? Simply wipe it and boom, it will never reinstall until a new patch comes out but you knew that right since you know so much about the program right? too bad we cant get our characters and stuff transferred to consoles from pc. then we wouldn't have to worry about the xhunter1 or hackers. if this was the twilight zone, I would think that this all was done so that they could get out of the pc market and just have it on consoles, but then that would be ridiculous because they would lose money. If you look for xhunter then you will get also xhunter1 on you search list result, genius. If you don't even know this basic thing then no wonder why you believe lies from other paranoid people. don't even bother with him anymore, he clearly copy pastes and regurgitates everything he sees other people type to act like he knows anything about computers.